Easter is right around the corner! I’ve always looked forward to setting a beautiful spring table with pastel colors, fresh flowers and deserts to die for! 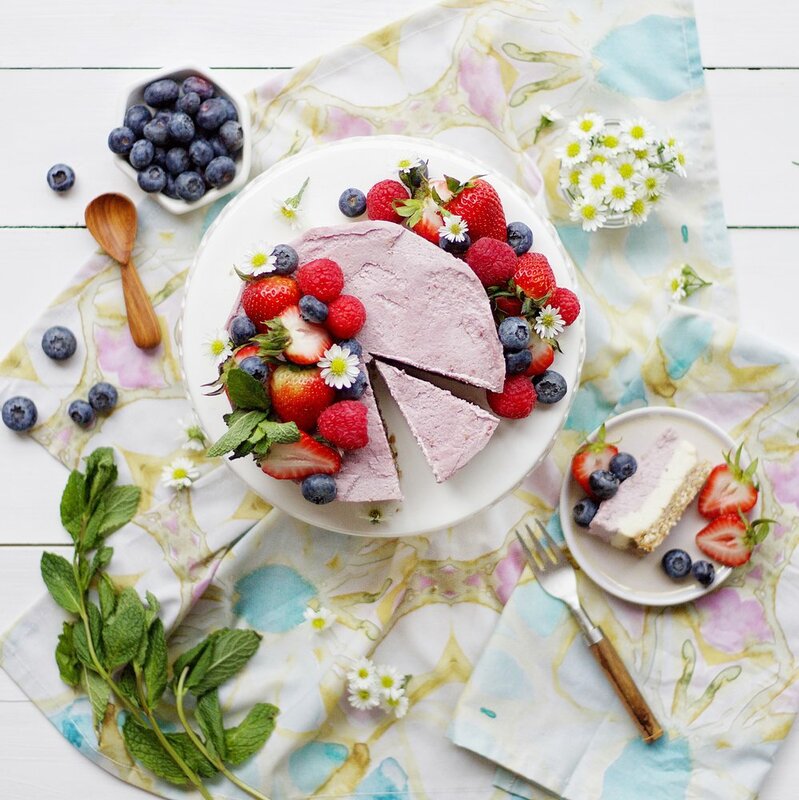 This year we’re sharing one of our favorite plant based Cheeze Cake recipes packed with vegan and gluten free ingredients – one that you won’t feel guilty devouring! Blend 2 lemon @larabar’s, 1/4 cup shredded coconut, and 1/2 cup chopped brazil nuts in a food processor and press into a parchment lined cake pan. Add 1 cup of cashews, soaked in water for 4 hours, then drained and rinsed, juice of 1 lemon and zest of 1/2 lemon, 1 tablespoon @manukadr honey, and 1 tablespoon @consciouscoconut melted coconut oil to a high power blender and blend until smooth. Pour over the crust layer. Add 1 cup cashews, soaked in water for 4 hours, then drained and rinsed, juice of 1/2 lemonand zest of 1/2 lemon, 1/2 cup raspberries, 1 tablespoon honey, and 1 tablespoon melted coconut oil to a high power blender and blend until smooth. Pour over the plain layer. Let the cake set in the fridge for at least 4 hours or overnight. Top with fresh berries and mint leaves! Pair with our modern napkin prints for a magical brunch.